Texas A&M University-Commerce director of athletics Tim McMurray has announced the hiring of Matt Ward as head men’s and women’s golf coach. Ward comes to the Lions from Colorado Mesa University, where has served as head men’s golf coach since 2014. Elvis Andrus went 0-3 at the plate and had four assists at shortstop in his first rehab appearance with the Frisco Rough Riders. Elvis has been on the disabled list since being hit on the elbow by a pitch on April 11. That HBP resulted in a broken elbow and the first D.L. stint of Elvis’s major league career. The game also featured the AA debut of newly promoted starter Jonathan Hernandez, although it was an outing the 21-year-old would like to forget. Hernandez allowed 6 runs in 4 innings, including a pair of home runs. Frisco lost the game 7-1. 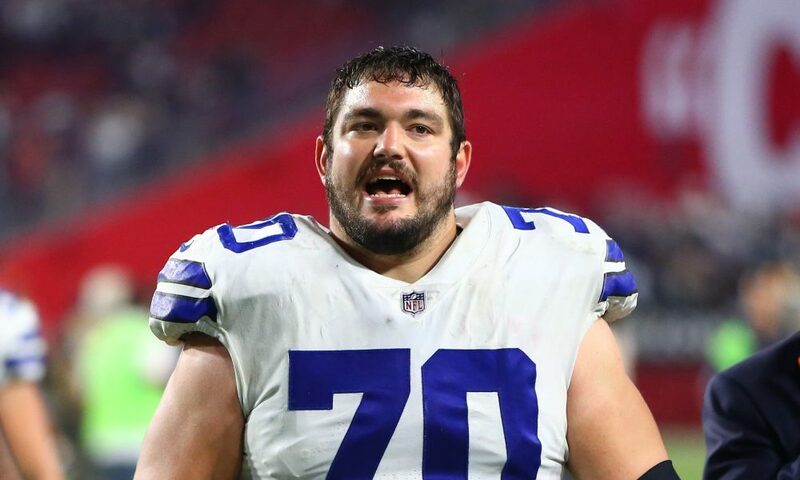 Right guard Zack Martin and the Dallas Cowboys are zeroing in on a new six-year contract, NFL Network Insider Ian Rapoport reported Monday. According to Rapoport, the deal will make Martin the highest-paid guard with the largest guaranteed payout at his position in NFL history. The Rangers were off last night. They will play the Dodgers tonight in Los Angeles on 1490AM and 96.3FM KPLT. Pregame at 8:30. First pitch at 9:10. The Atlanta Falcons will hold mandatory minicamp without one of the NFL’s top offensive weapons. Wide receiver Julio Jones informed the Falcons he will not attend the three-day event, which begins today and runs through Thursday. The 29-year-old Jones, who missed the voluntary organized team activities, wants a new contract. Atlanta recently took care of quarterback Matt Ryan with a contract extension, but it remains to be seen what the team will do with Jones. The star wide receiver has three years remaining on his current deal and will earn a base salary of $10.5 million in 2018. The Falcons currently have $7.2 million in available salary cap space. The Texas Longhorns are heading for the program’s 36th trip to the College World Series, which was earned in a 5-2 win over Tennessee Tech in Monday’s third and deciding Super Regional game at UFCU Disch-Falk Field. Former Clemson quarterback Hunter Johnson is transferring to Northwestern, the Wildcats announced on Monday. Johnson, whom ESPN ranked as the No. 1 pocket passer and No. 21 overall player in the 2017 recruiting class, announced his decision Monday. He opted to leave Clemson last month after competing for the starting job with incumbent Kelly Bryant and incoming freshman Trevor Lawrence, ESPN’s top-rated pocket passer and No. 2 overall player in the 2018 class. The wait is over – New Jersey sports betting begins Thursday. New Jersey Gov. Phil Murphy signed legislation Monday, allowing the state’s racetracks and casinos to begin offering sports betting later in the week.